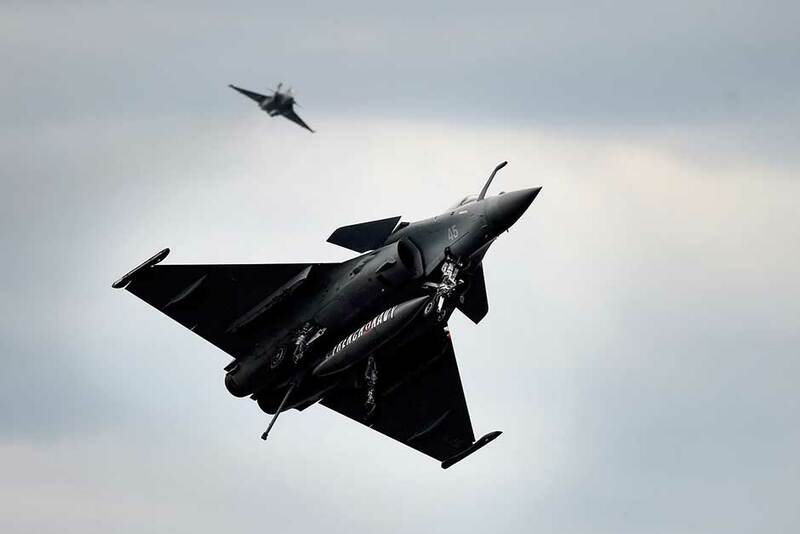 Plot thickens: Will Rafale dominate the 2019 dogfight? Dubai: The Indian Air Force (IAF) had been looking to buy new twin-engine fighter jets to replace its ageing fleet of Russian-made fighters. Following a global tender, the IAF in 2012 whittled down the list to the Rafale made by France's Dassault and the Eurofighter Typhoon, developed by British Aerospace. The Congress-led United Progressive Alliance (UPA) government then put out a tender for 126 fighter jets. Because of a lower bid offer, it planned to buy 18 Rafales in "fly-away" condition from Dassault, with the remaining to be built in India by the same firm in a joint venture with the state-owned Hindustan Aeronautics Limited (HAL). The government changed hands in 2014. The deal has been wrapped in controversy since then — with charges of overpricing, abuse of authority, cronyism and flouting of standard purchase rules. Over the past few months, the row over the Rafale deal has been boiling over. The main contenders, parties and personalities involved in this controversy are vying for votes in the upcoming May 2019 elections. Timeline: What's happened so far? 2012 - India selects France’s Rafale from among five bidders to supply fighter jets; its bid was the lowest. Under the deal, French company Dassault Aviation will supply 126 Rafale fighter planes. Hindustan Aeronautics Ltd (HAL), a state-owned firm, is to produce 108 fighter jets locally in a joint venture with French firm Dassault Aviation, which will supply 18 Rafales in "fly-away" condition. May 16, 2014 - The United Progressive Alliance (UPA), led by Congress Party, faces massive defeat in the world's largest general elections, with 814.5 million eligible voters. The National Democratic Alliance (NDA), led by the Hindu nationalist BJP, scores a sweeping victory, taking 336 out of the 543 seats in the Lok Sabha, the lower house of parliament. HAL is out in the cold as the Modi government signs up for another 36 fighter jets in "fly-away" condition from Dassault. March 2015 - Reliance Infrastructure Ltd (R-Infra) buys 18 per cent stake in Pipavav Defence and Offshore Engineering Co. Ltd. for Rs8.19 billion ($115.9 million). April 2015 - Prime Minister Narendra Modi makes an official visit to France, where he announces that India would acquire 36 fully-built Rafale jets, citing “critical operational necessity”. January 2016: Reliance Defence Systems Pvt Ltd and R-Infra acquire management control of Pipavav, which is renamed Reliance Defence and Engineering Ltd. After the aquisition, Anil Ambani is appointed company chairman. January 25, 2016 - The memorandum of understanding (MOU) for Rafale aircraft is signed between France and India. September 23, 2016 - India and France sign in New Delhi an inter-governmental agreement (IGA) for the acquisition of 36 aircraft at a cost of Rs580 billion (Dh29.8 billion, $8.1 billion). November 2016 - Political warfare erupts over the deal. Opposition Congress Party accuses Modi government of causing an “insurmountable loss” to taxpayers’ money by signing the deal. October 27, 2017 - Eric Trappier, Chairman of Dassault Aviation and Anil Ambani of Reliance Defence lay the foundation stone for the Dassault Reliance Aerospace Ltd manufacturing facility in Mihan, Nagpur, in India’s western state of Maharashtra. September 26, 2018 - French President Emmanuel Macron has since said it was a government-to-government deal. And because the deal took place (under President Francois Hollande) before his term, Macron said he had no further comment. October 31, 2018 - India's Supreme Court asks Modi government to provide pricing details of the Rafale deal. October 2018 - French investigative journal Mediapart cites an internal document of Dassault Aviation, makers of the Rafale jets, showing that picking Anil Ambani's Reliance Defence as Dassault’s “offset” partner in India was a "trade-off" for the 36-jet deal. December 14, 2018 - India's top court has thrown out a petition for a probe into the country's decision to buy 36 Rafale fighter jets from French company Dassault. PM Narendra Modi thus avoids an investigation over the deal. The court order is seen as a victory for the government in India. February 10, 2019 - Union Law Minister and BJP leader Ravi Shankar Prasad says opposition leader Rahul Gandhi is "lying shamelessly" about the fighter jet deal and has got "Rafale phobia". February 12, 2019 - Congress Party leader Rahul Gandhi has accused Indian PM Narendra Modi of "treason" and violating the Official Secrets Act by acting as Anil Ambani's "middleman" in the Rafale jet contract, citing an email to claim the businessman was aware of the deal days before India and France signed it. In response, a Reliance Defence spokesperson has said the purported email being referred by the Congress Party is regarding the discussion between Airbus and Reliance Defence on civil and defence helicopters under the "Make In India" programme, and had nothing to do with the Rafale deal. What is the Rafale deal? India seeks to update its ageing fleet of fighter jets. In 2012, the country selected France’s Rafale from among five bidders. The French industrial giant Dassault Aviation, which builds the Rafale, was the winning bidder. 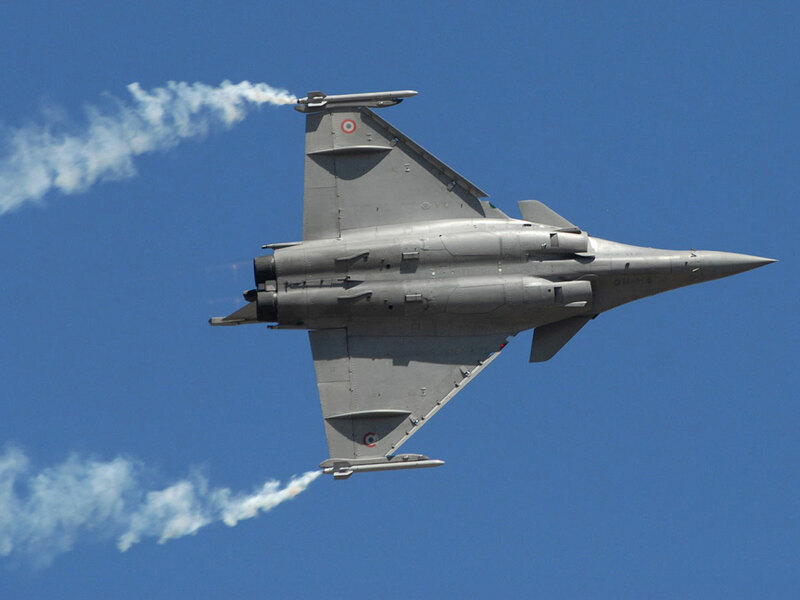 Under the deal, Dassault will supply 18 Rafale fighter planes in "flyaway" condition, while 108 fighter jets will be built locally in a joint venture between Dassault and India's Hindustan Aviation Ltd. (HAL), a state-owned firm. Under the terms of the inter-government agreement (IGA) signed between the governments of India and France in New Delhi on September 23, 2016, Dassault is the supplier of the Rafale aircraft package. MBDA France is the supplier of the weapons package to the Indian Air Force. At that time, Indian government officials said that the deal was initially for about Rs420 billion (about $5.9 billion, or Dh21.79 billion). The French defence contractor later sought a higher price. This, Indian officials say, has put the price then at a "little more than double the cost". How much is the final price? Under the 2016 inter-governmental agreement (IGA), India and France signed a €7.87-billion deal ($8.88 billion, or Dh32.6 billion) with France for the purchase of 36 Rafale jets — or about $244.62 million apiece. What does the term 'fly-away cost' mean? The "flya-way" cost includes only the cost of production and production tools essential for building a single unit. In 2011, the "fly-away cost" of a Rafale jet was listed at €79 million ($89 million) per piece. When are Rafale jets due for delivery to India? The Rafale jets are scheduled to begin deliveries from September, 2019. What is the latest on the Rafale controversy? On Friday, February 8, 2019, The Hindu daily in India reported that the standard Defence Procurement Procedure (DPP) was not included in the deal. It meant that standard clauses on “Penalty for use of Undue Influence, Agents/Agency Commission, and Access to Company accounts” of Rafale manufacturer Dassault Aviation and MBDA France were waived by the Indian government in the supply protocols. The paper, however, reported there is no evidence of the involvement of middlemen or illegal pay-offs, and that the supposed irregularities appear to be procedural rather than financial. What changes were made in the inter-governmental agreement (IAG) and when? Citing official documents, The Hindu report revealed that the Defence Acquisition Council (DAC) chaired by the then Defence Minister, Manohar Parrikar, met in September 2016, and “ratified and approved” eight changes in the IGA, supply protocols, offset contracts and offset schedules. This was done after the IGA and associated documents had been approved by the Cabinet Committee on Security (CCS), chaired by Prime Minister Modi on August 24, 2016. What does waiving of anti-corruption clause mean? It means the following conditions are no longer required in concluding a government deal: sovereign guarantee, bank guarantee and an escrow account before payment is made. The deal is reported to have involved “major and unprecedented concessions” from the Indian government. For one, the jets were deemed overpriced and grossly disadvantageous to Indian taxpayers. Moreover, dropping critical provisions for anti-corruption penalties and the requirement to make payments through an escrow account before the signing of the inter-governmental agreement (IGA) between the two countries would be open to procedural lapses, and loss to the government. The Hindu also reported that “parallel negotiations” were conducted by the Prime Minister’s Office and the National Security Adviser. Indian media outlets also reported France’s former president Hollande as saying that Indian PM Narendra Modi had suggested the name of Anil Ambani’s company for the Rafale deal — indicating that France’s Dassault was not given any choice. Critics, foremost among them Indian opposition leader Rahul Gandhi, assailed the Modi government for allegedly lying about it (Defence Minister Nirmala Sitharaman and Arun Jaitely said it was the decision of Dassault). The Modi government's insistence favouring Anil Ambani’s company for the “offset” part made a “mockery of the rules”. 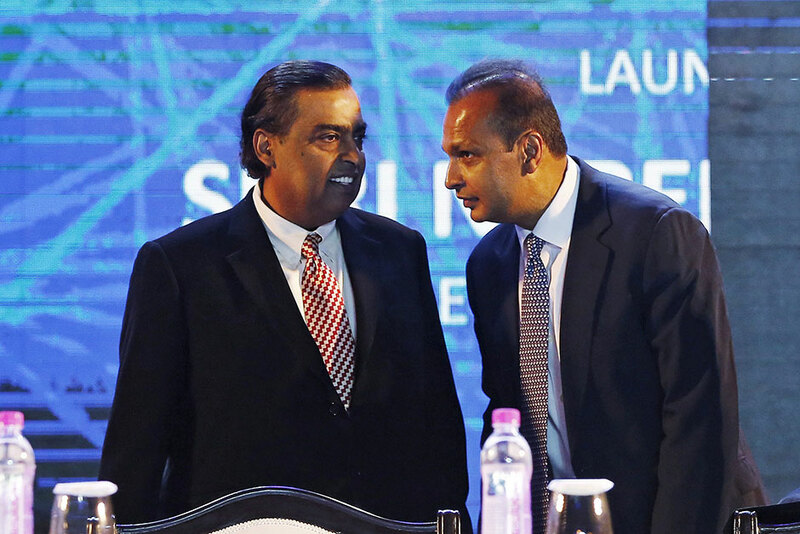 Anil Dhirubhai Ambani is an Indian businessman. He is the chairman of Reliance Group, which came into existence in June 2005 following a demerger from Reliance Industries Ltd. He is also the chairman of Reliance Defence. What's the main beef against the Rafale deal? Congress Party's Rahul Gandhi claims that the deal is "grossly overpriced". He alleges that the cost of each aircraft was three times more than what the previous government (UPA) had negotiated with France in 2012. Moreover, Gandhi alleges that the Anil Ambani-led Reliance Defence Ltd had been unfairly picked to be the French firm’s partner in India. Both Dassault and the government have denied the allegations. Why is Hollande's claim on the Rafale deal with India significant? Former French president Francois Hollande claimed that Dassault, the Rafale manufacturer, was not given any choice. This was also widely reported in the Indian media. This point was confirmed by an internal document from the company. In October, 2018, the French investigative journal Mediapart, cited an internal document of Dassault Aviation, makers of the Rafale jets, showing that picking Anil Ambani's Reliance Defence as Dassault’s “offset” partner in India was a "trade-off" for the 36 jet deal. The Mediapart article says the document cited a top Dassault official, Loik Segalen, explaining to its staff on May 11, 2017, that the joint venture was a "trade-off", which was "imperative and mandatory" to win the Rafale deal. Dassault Aviation has denied the report and said it "has freely chosen to make a partnership with India's Reliance Group". The 50 per cent “offset” clause in the Rafale deal states that French counterparts would have to invest 50 per cent of the deal’s amount into joint ventures with Indian private or government defence firms. Since the Rafale deal was worth €7.87 billion ($8.88 billion, or Dh32.6 billion), Dassault is expected to invest around 50 per cent of its share in joint venture with Indian firms. Officials pointed out that offsets for Rafale are divided into four parts between Dassault (the integrator), Thales (radars and avionics), Safran (engines and electronics) and MBDA (weapons). Out of the total commitment of Rs30,000 crore ($4.24 billion), Dassault Aviation has to invest in offsets to the tune of Rs6,500 crores ($920.1 million), according to Air Marshal R. Nambiar, deputy chief of air staff until November. How much does Reliance Defence get from this offset deal? Dassault Aviation chief Eric Trappier was quoted by Economic Times as saying that its joint venture with Reliance Defence is geared towards meeting about 10 per cent of this offset obligation for the Rafale fighter jet deal. On Friday, (February 8, 2018) The Hindu published a story based on documents from India’s Ministry of Defence (MoD). It said the documents show that the Prime Minister’s Office (PMO) was directly negotiating with French officials on the controversial Rafale fighter plane deal. The report said officials of the MoD raised a “red flag over” over what they called “parallel negotiations”. What was Modi’s role in the Rafale deal? The information published by The Hindu on Friday refers to “parallel negotiations” conducted by the Prime Minister’s Office and the National Security Adviser. This fact, the report said, was not part of the material submitted by the government to the Supreme Court of India, which rejected a petition for a review and probe of the deal. Gandhi has made stinging allegations that Indian business Anil Ambani, who is close to PM Modi, had benefited from brazen “crony capitalism” in the $8.8-billion deal for the 36 Rafale fighter jets. Gandhi alleges that the deal was negotiated personally and then announced by PM Narendra Modi in 2016 during a visit to Paris, violating government checks on purchases of that scale. In response to the report, the BJP’s official Twitter handle launched an offensive against Gandhi, as well as The Hindu and its report. The barbs are being traded both in and out of Parliament. What is the Comptroller and Auditor General (CAG) report? The office of the Comptroller and Auditor General (CAG), created by the Constitution Act 1950, is accountable to the Indian Parliament. It is tasked to audit financial transactions of the Union and State governments and Union territories. 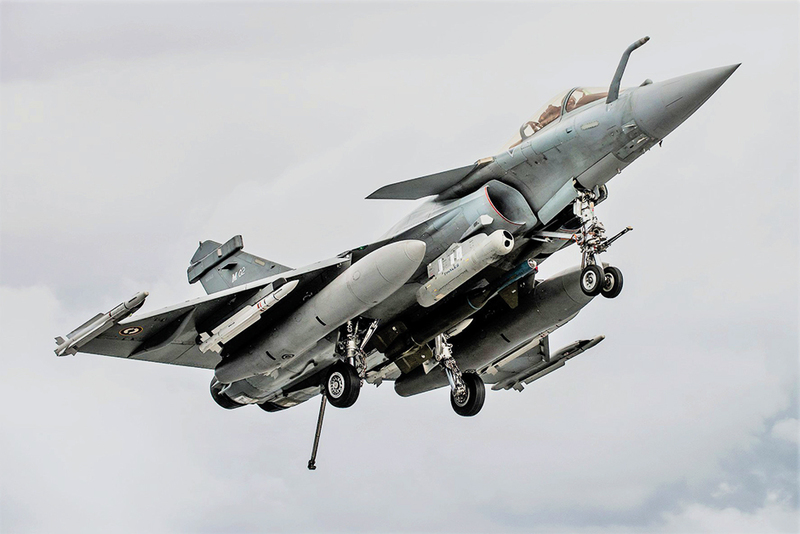 On Wednesday, February 13, 2019, the CAG’s report on controversial Rafale deal was tabled in the Rajya Sabha (Council of States), the upper house of the Parliament of India. It found the Rafale deal negotiated by the Narendra Modi government in 2016 (under National Democratic Alliance, NDA) as “cheaper” than the one discussed during the previous regime, under the Congress-led United Progressive Alliance (UPA). The contracted prices of seven items were higher than the “aligned price”, the price at which the contract should have been signed after adjusting price variation between 2007 and 2015. In response to the opposition’s criticism that the Modi government paid more in the reworked Rafale deal, the Modi government has argued that the 2016 contract had more India-specific enhancements. However, the CAG report says that four of the India-specific enhancements were “not needed” at all. The Indian Air Force had stated the same in its technical evaluation in 2010. But those specifications were included in the Rafale deal. However, the report stated that India taxpayers paid for some of the “India-specific enhancements” that were “not needed” by the Indian Air Force. What are the implications for the present Indian government? The Rafale controversy carries significant political implications for the Modi government, which has campaigned on the theme of curbing corruption. The current government has promised to take tough action against alleged corruption in defence deals struck by the previous government under the United Progressive Alliance.